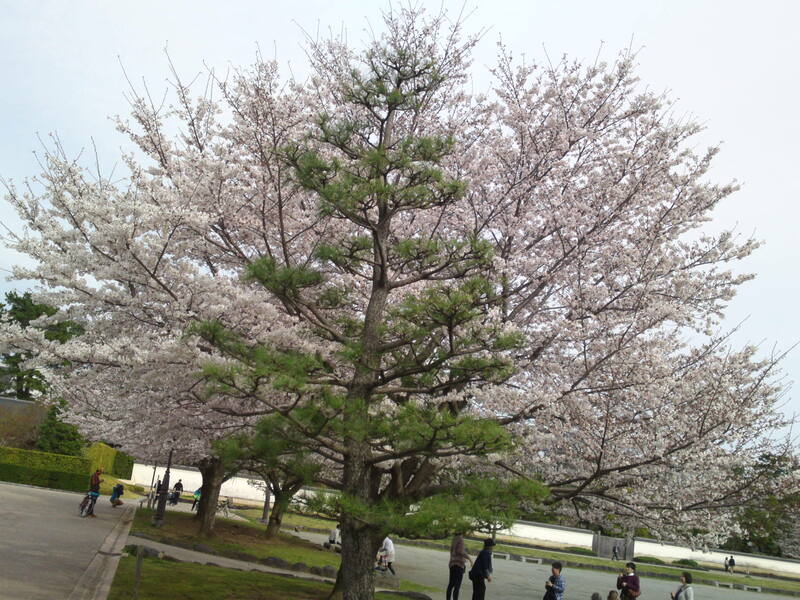 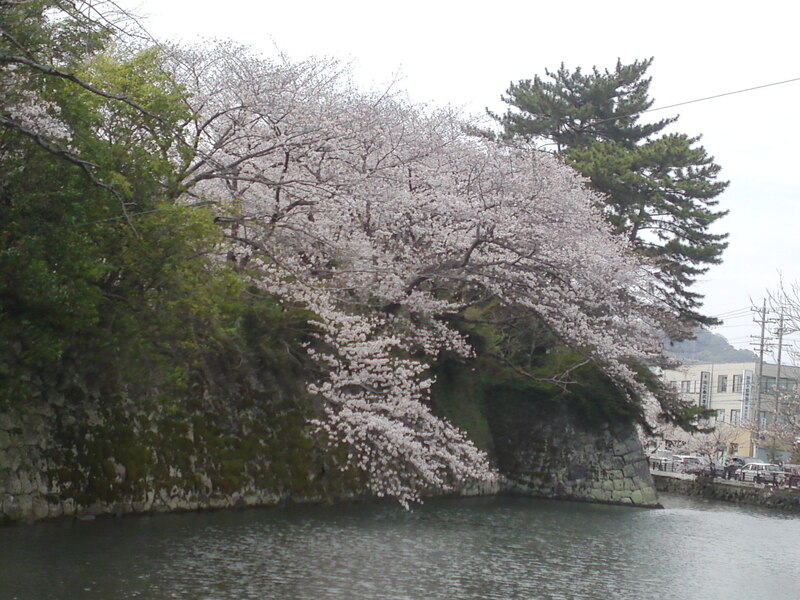 Cherry Blossoms in and around Sumpu Castle in Shizuoka City! 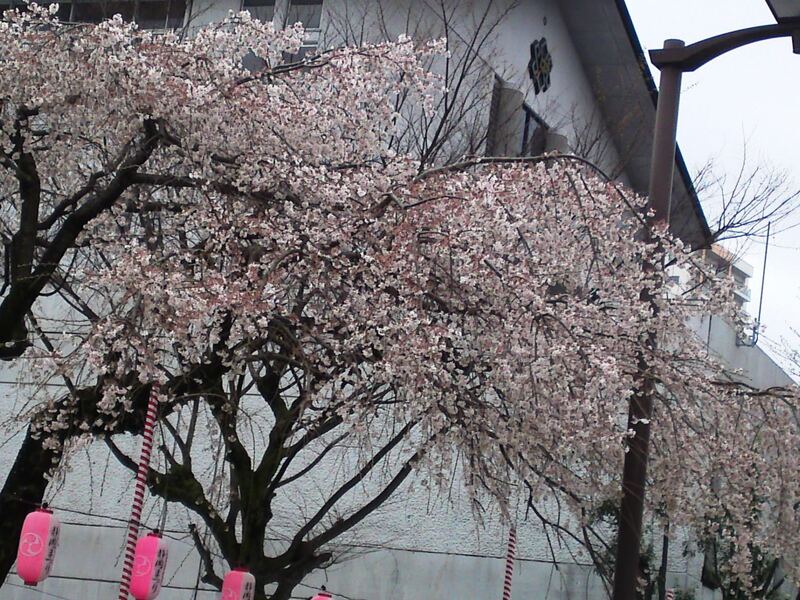 We are still very much in the middle of winter in Japan but Shizuoka Prefecture is celebrated in all Japan for the first Prefecture to have its cherry trees blossoming! 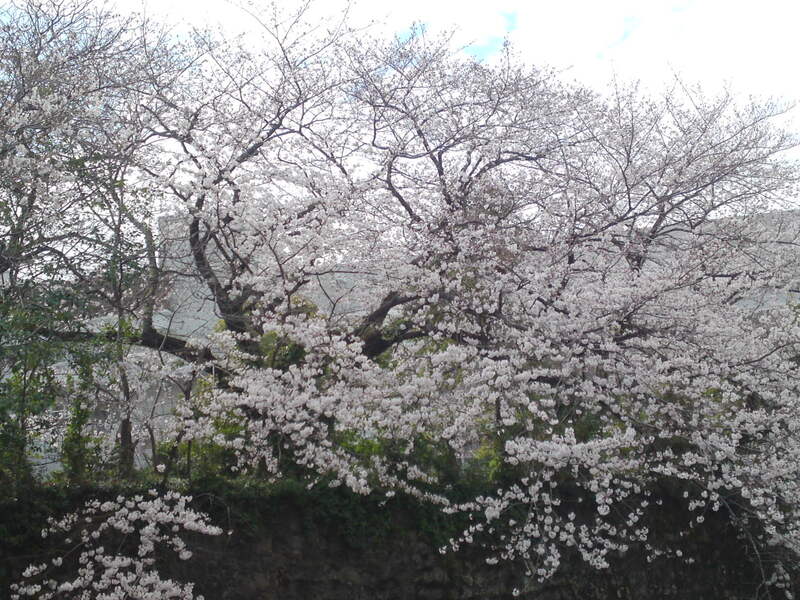 The first flowers open as early as in February on the eastern shores of Izu Peninsula, especially in Kawazu! 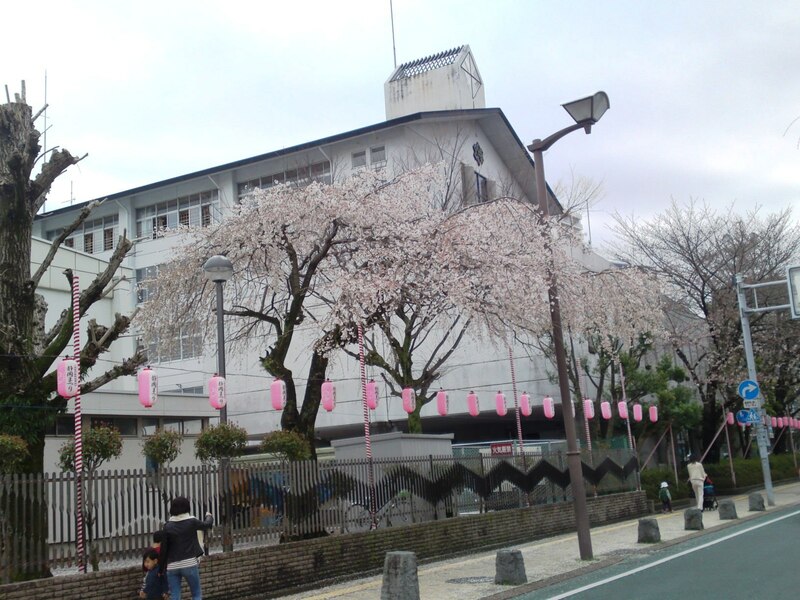 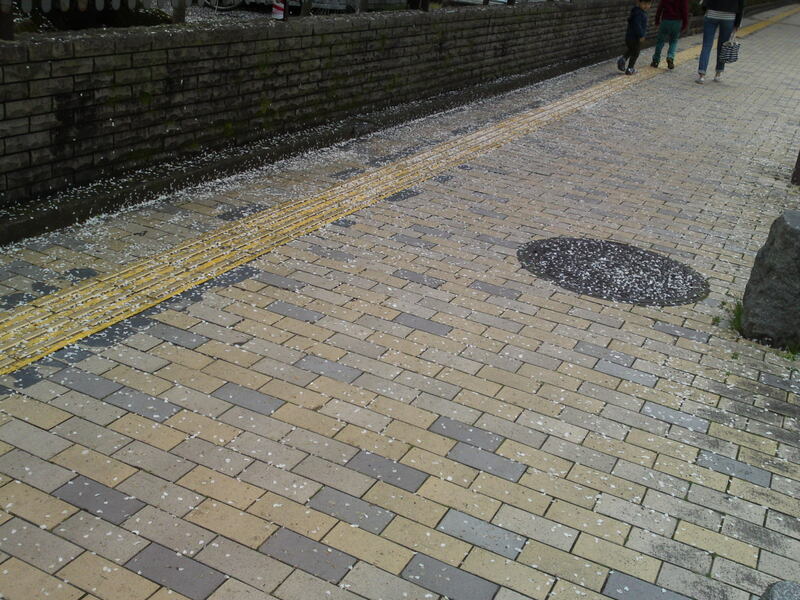 From then on cherry blossom fans chase their favorite flower all around and up the Prefecture until end of May! 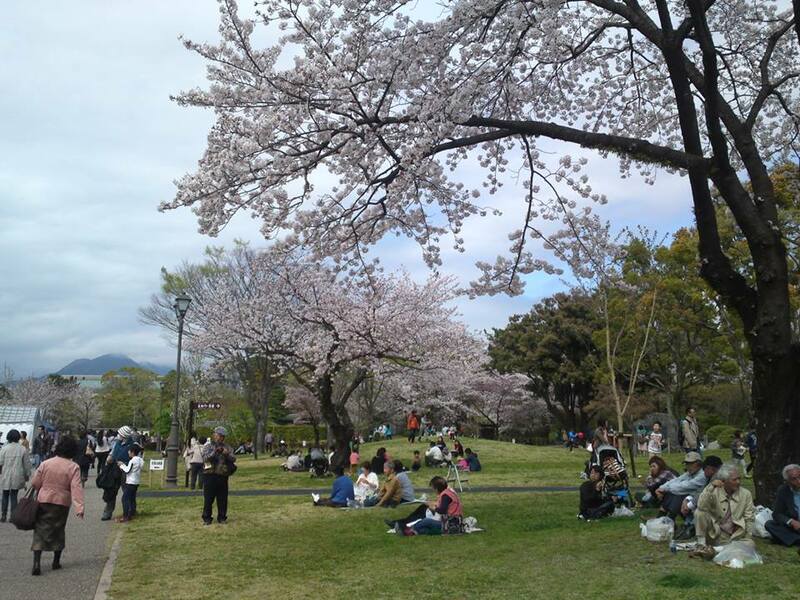 Sumpu Castle Park in the middle of Shizuoka City offers many possibilities for photographers whether they want to take only cherry blossoms or take them among the many trees and flower beds! 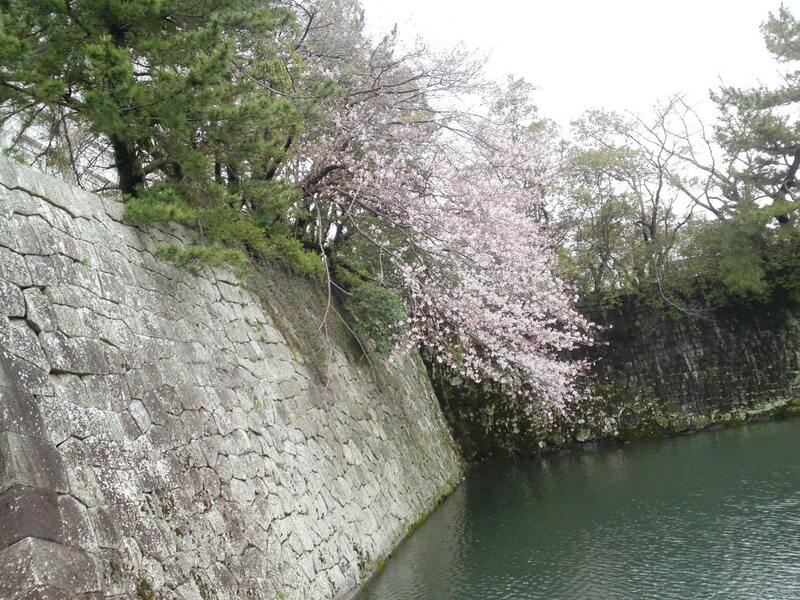 Sumpu castle Park cherry blossoms also make for splendid photographs when walking around the outer moats! 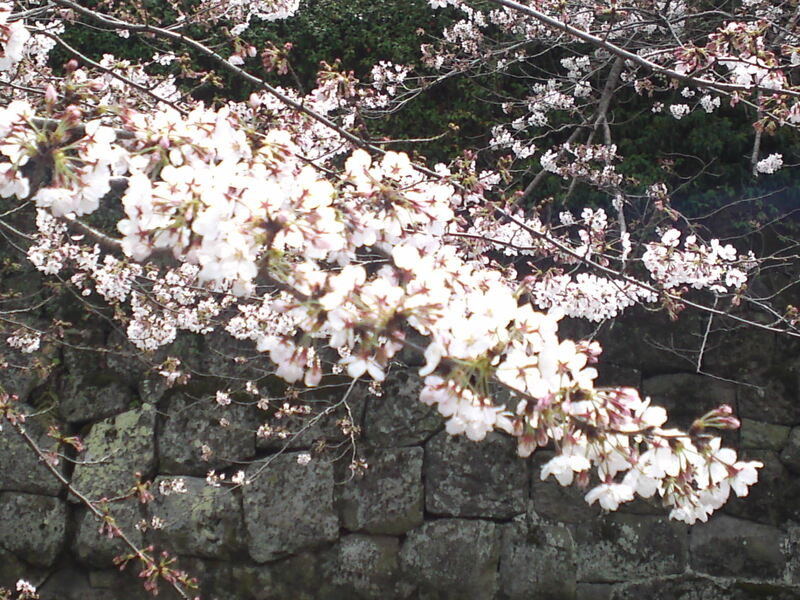 These can be found in the vicinity of Sumpu Castle in Shizuoka City, although the variety grown over the ramparts is different and not out at the same time! 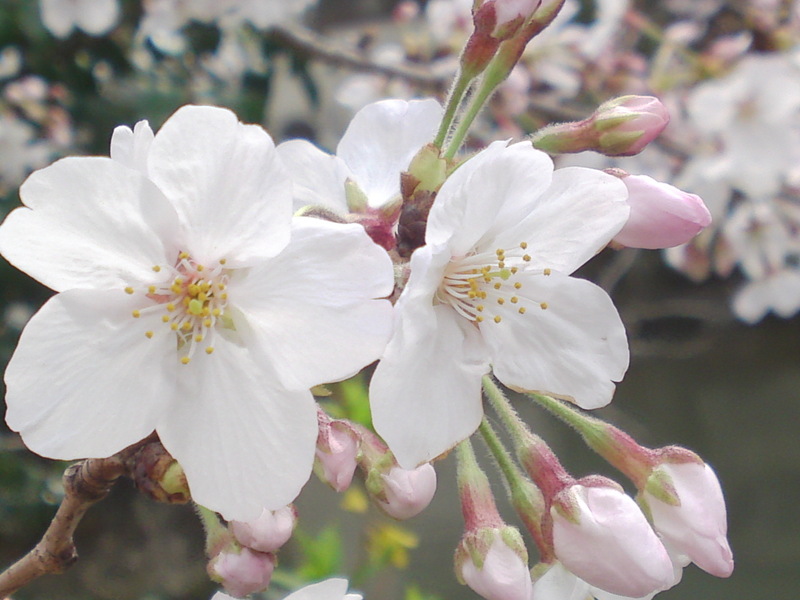 You may well plan your cherry blossom viewing in and around Sumpu Castle Park from the third week, if not the second week of March, as the weather can dramatically change here. 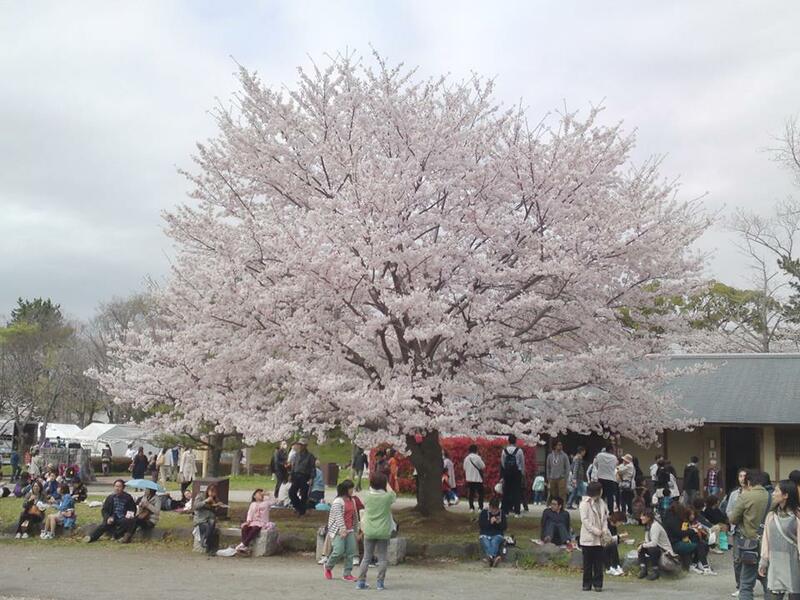 The Shizuoka City Festival is supposed to be held at the best time for cherry blossoms viewing but I wouldn’t trust such wishful thinking! 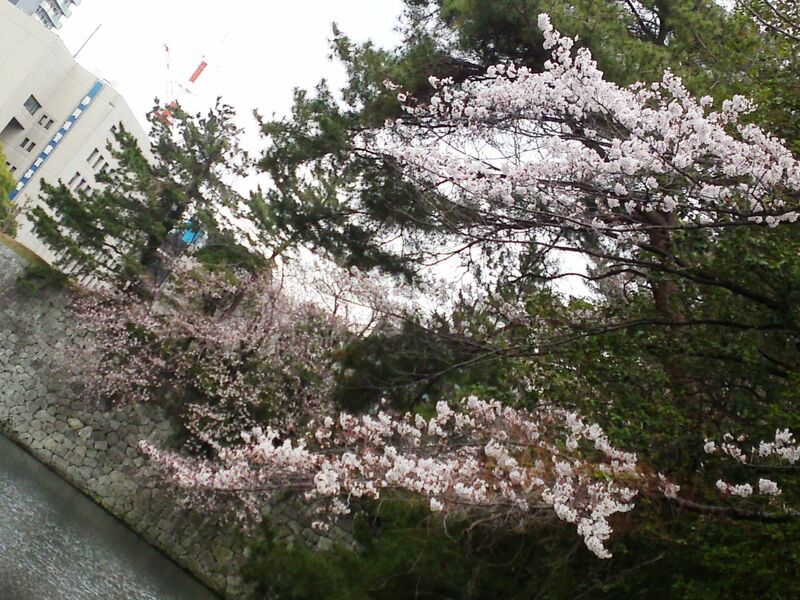 Walking on a cherry blossom petal path! 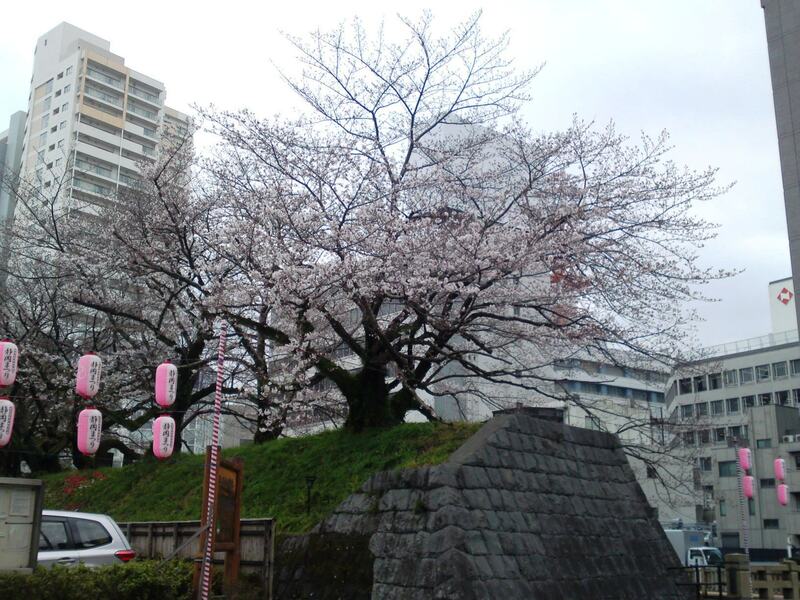 Walking around the moats you will discover some real old trees on the “city side” of the street! 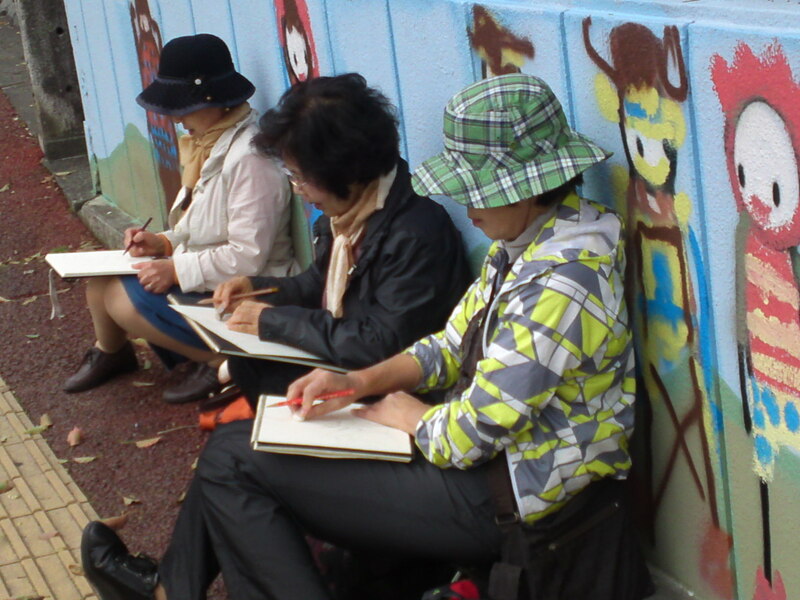 Not only photographing them but drawing them is quite a popular pastime for the locals! 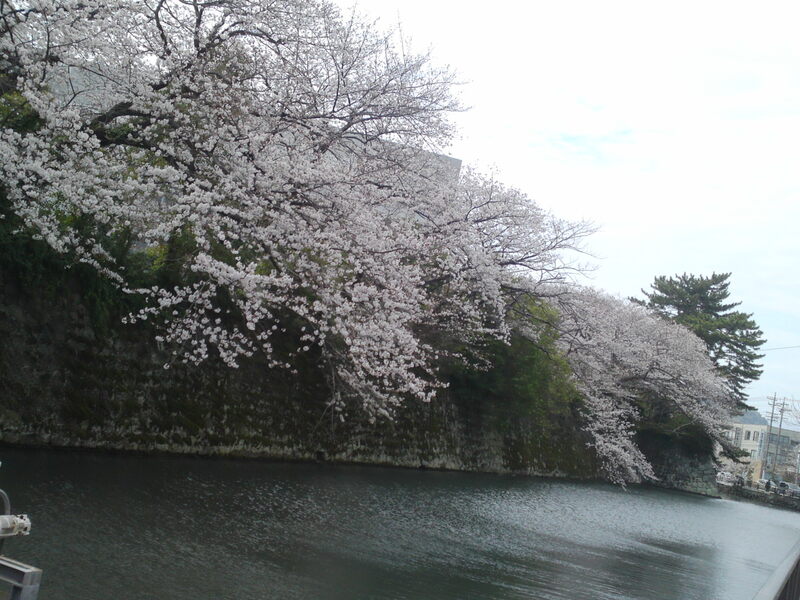 Depending on the sun exposure some will open earlier over the ramparts! 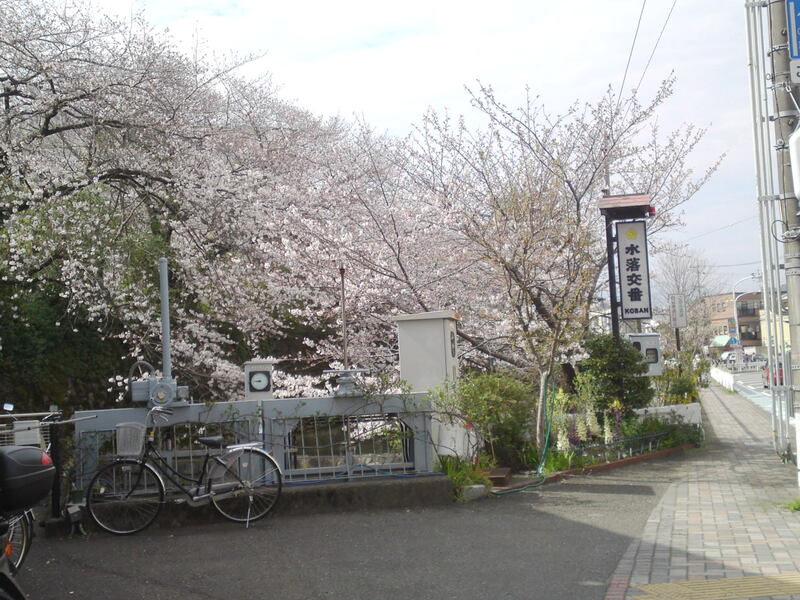 “Of all places!”, you might say and I tend to agree as the occupants of MIzuochi Police Box in Aoi Ku, Shizuoka City, are famously hopeless in a city where’s crime is almost unknown and where the police is reduced to lurk on bicycles behind large signs to catch traffic offenders! 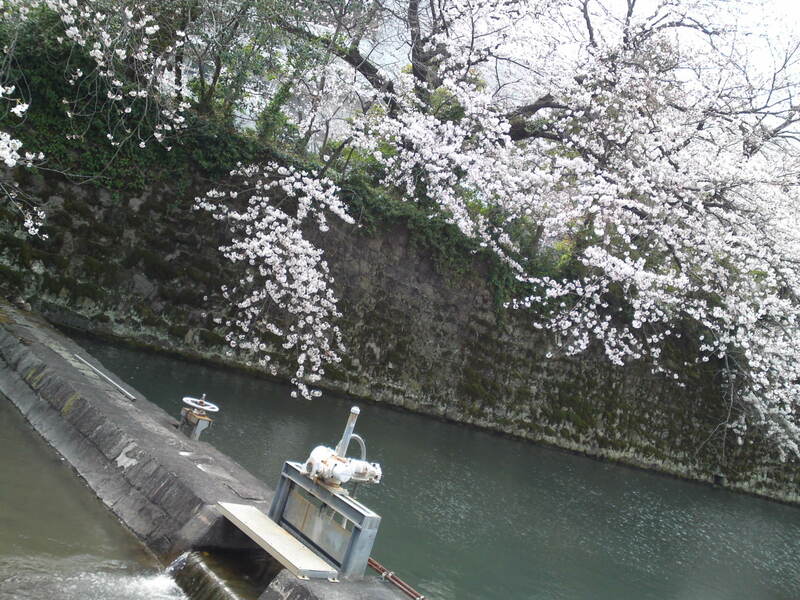 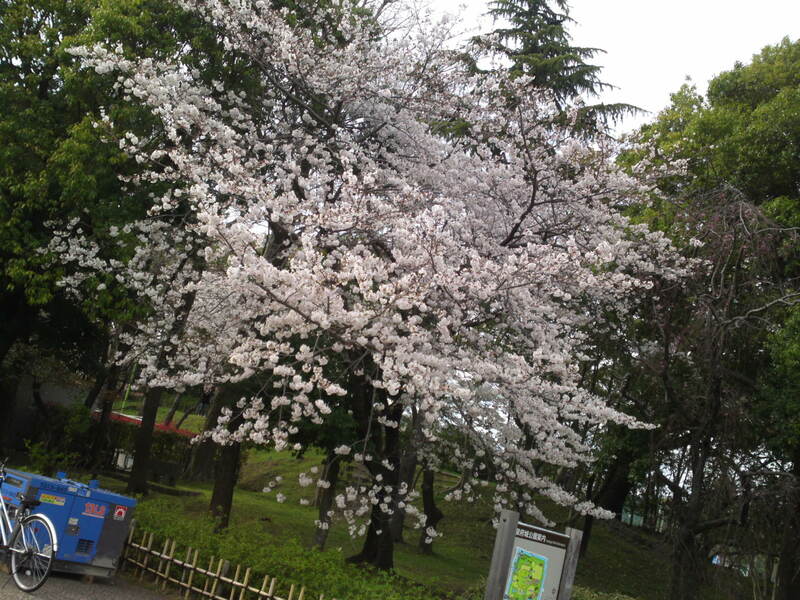 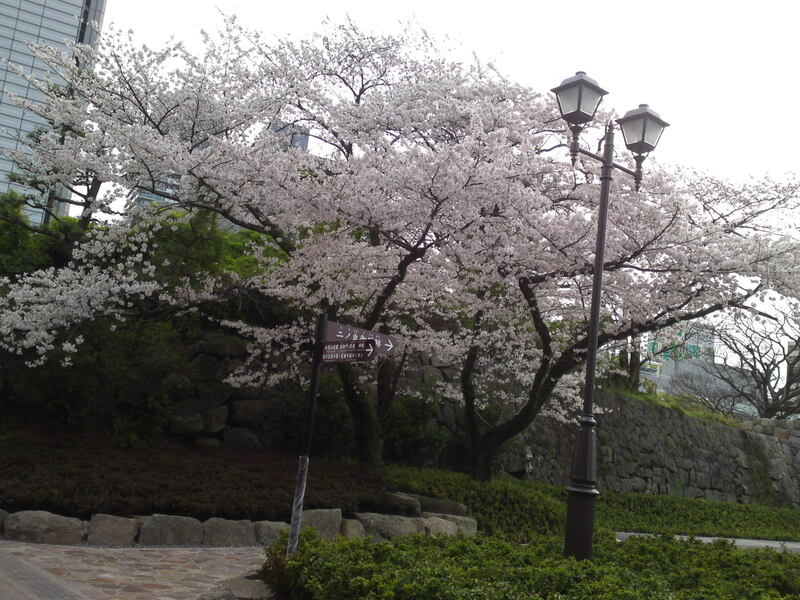 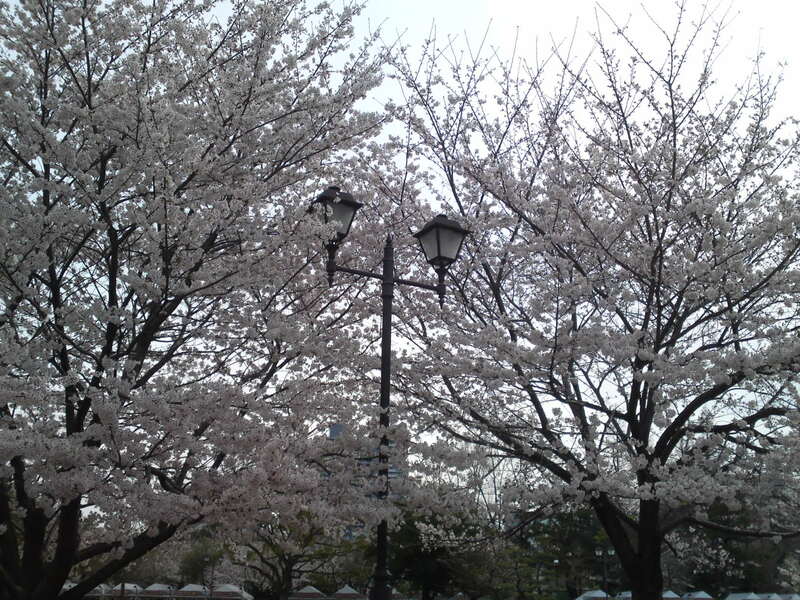 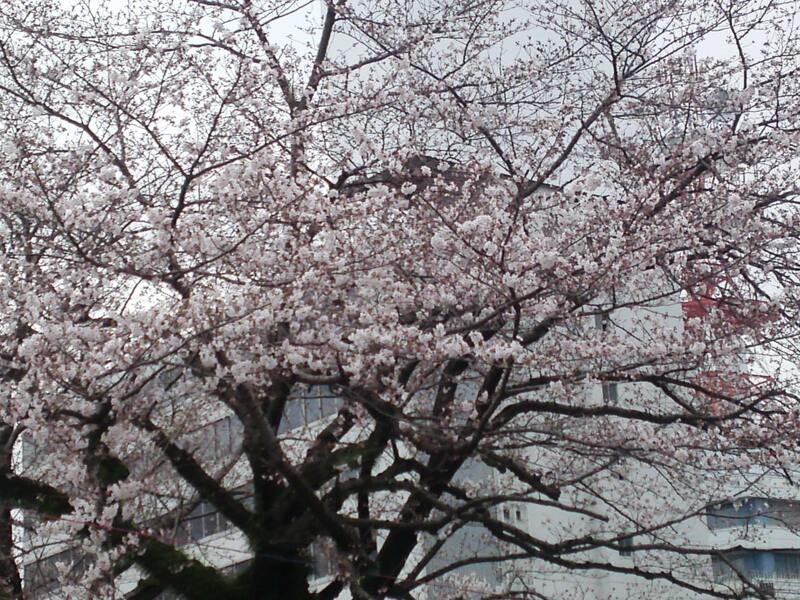 It is a great spot for cherry blossoms viewing, although it will last only a few days especially if rain is forecast! 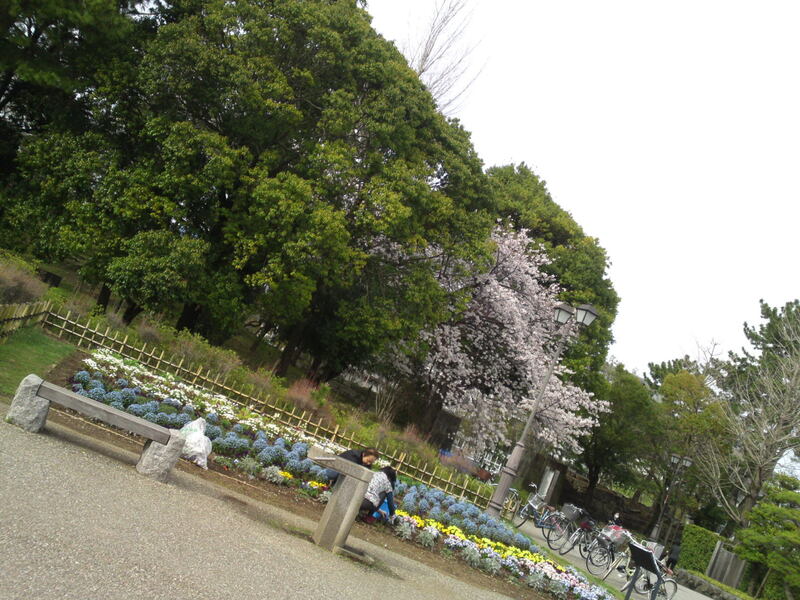 Inside the Sumpu Castle Park! 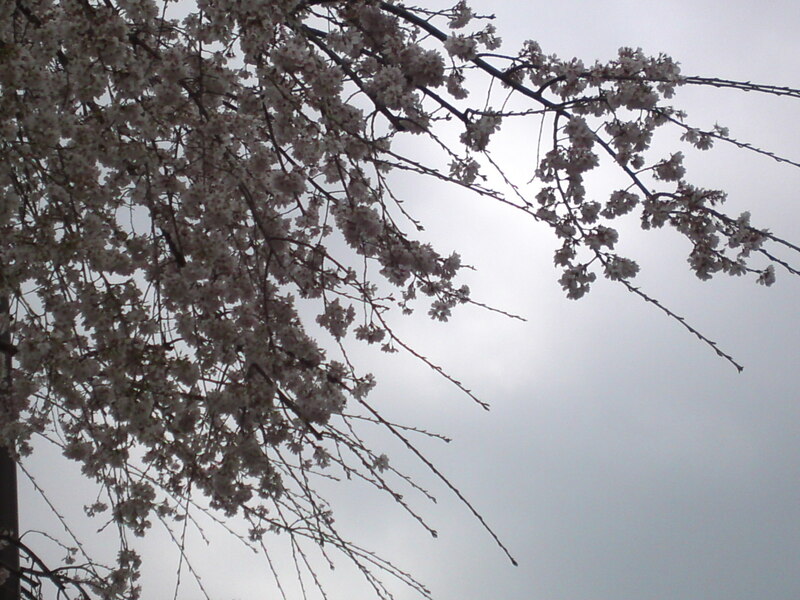 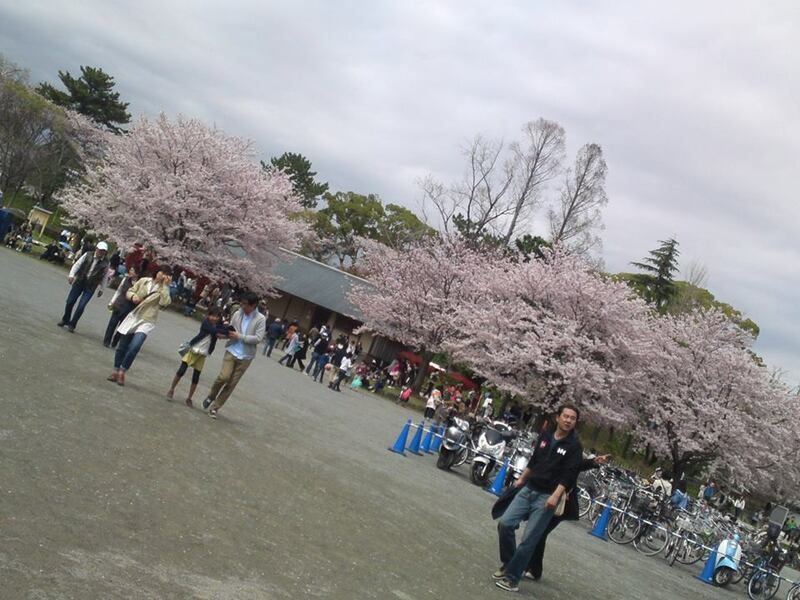 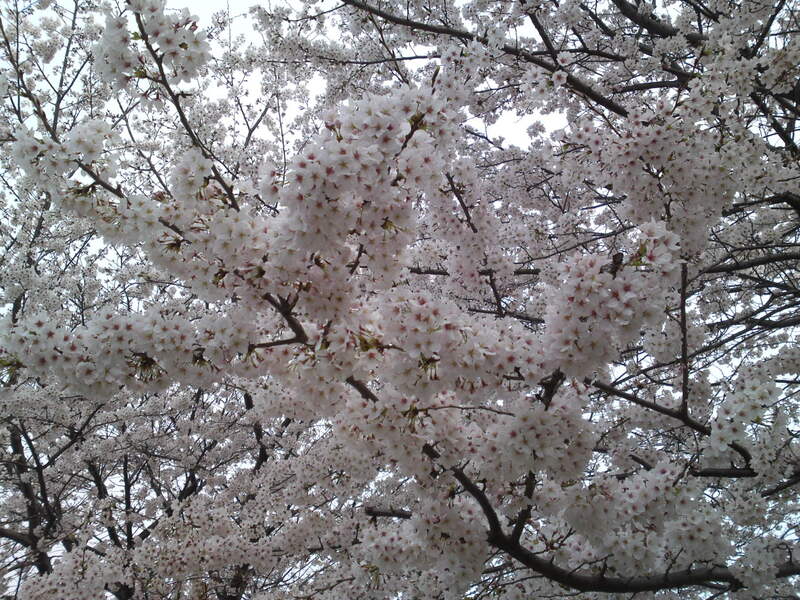 If you still have cherry trees in full blossoms on a week-end, expect big crowds inside the Park! 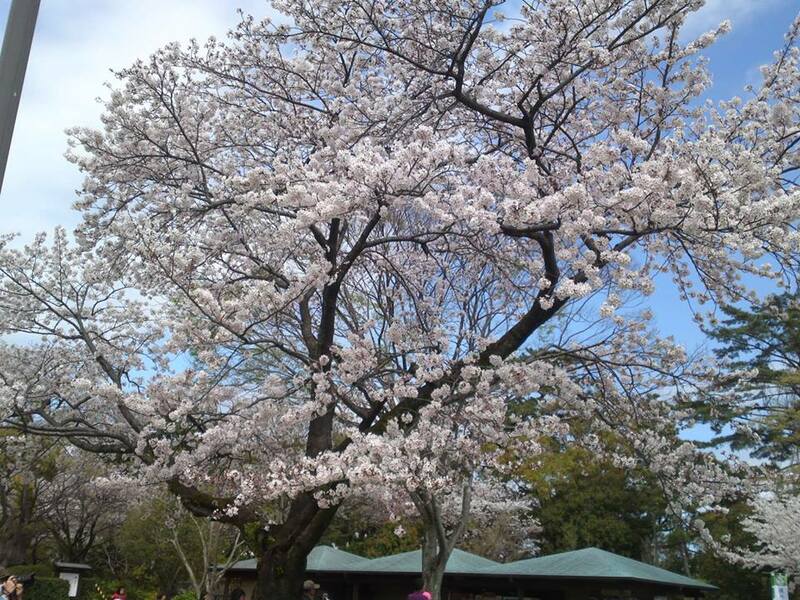 Cherry blossoms viewing parties are called “Hanami” in Japanese! 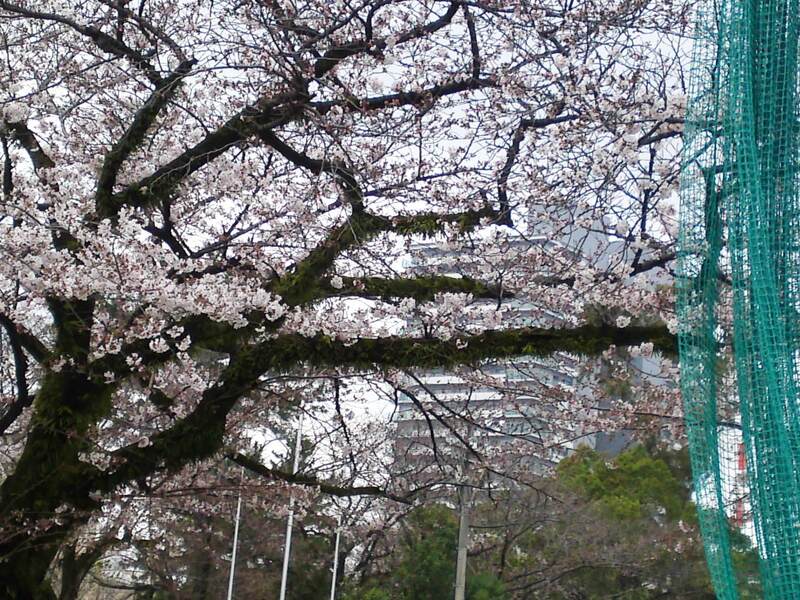 It is a great time to make new friends among the locals! 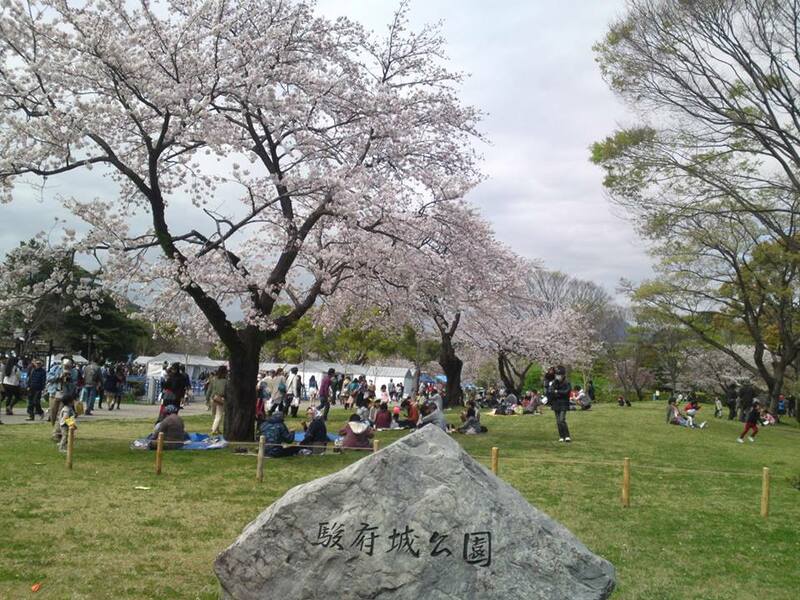 But many will gather in day time to share lunch, but if you want to join one the many reveling parties in the evening, make sure you remember the spot or join a group long beforehand!